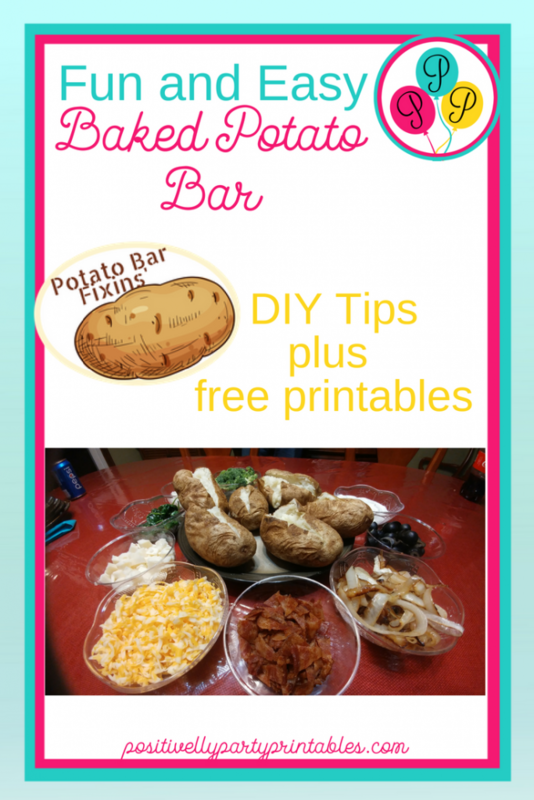 Fun and Easy Potato Bar for a fun simple family night dinner. It's winter in our part of the world, and it is starting to get cold. Imagine a day out enjoying the autumn weather with the family. 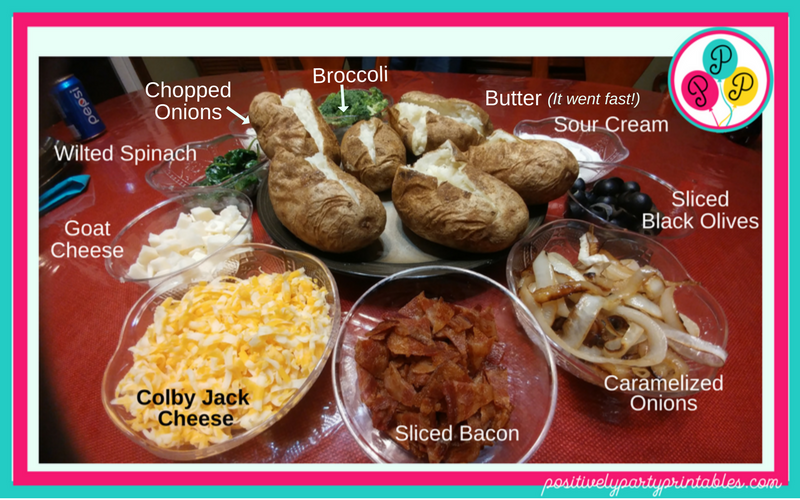 With a little preparation, you can come home to a warm dinner, a fun Potato Bar for a fun family treat. It's so simple and fun. Provide the taters and toppings and add some conversation. It's going to be a great night!. Here's how to put it together. Buy Russet Potatoes for great baked potatoes. Russet Potatoes are the best for baked potatoes because they have a high ratio of starch (the solids) to moisture. This produces a lighter, airy, and fluffy texture. The Alton Brown method is below. I am not a fan of canola oil, so use your favorite appropriate oil. 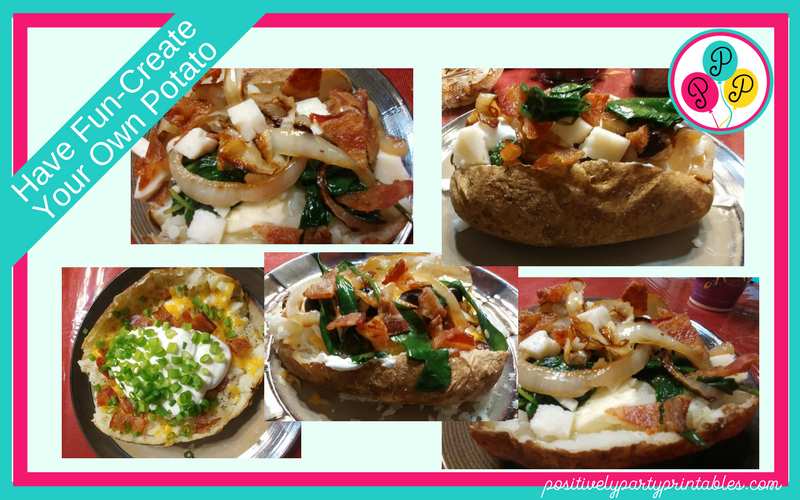 There are two options for preparing your baked potatoes. Set out your toppings. You could prepare these the night before or early in the morning of your busy day. Refrigerate until you use them. with a variety of toppings. BUTTER! 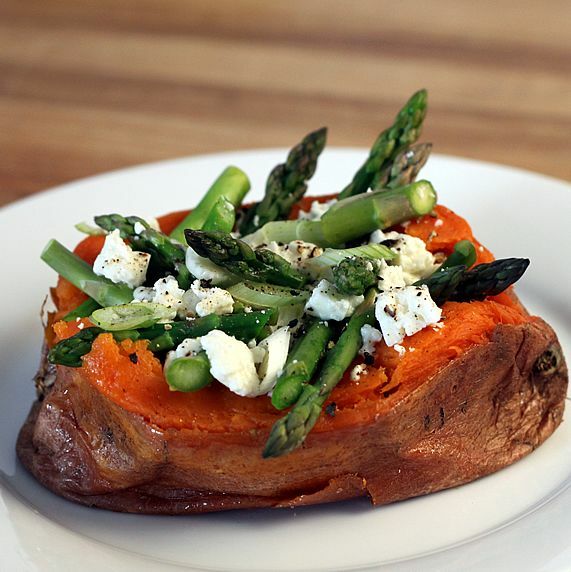 always great on baked potatoes! These are just some suggestions. Create a Potato Bar to suit your family's tastes and needs. As you enjoy your Potato Bar feast, take time to connect with those you care about and enjoy the all the seasons. Plus, A Potato Bar can be appreciated any season of the year. 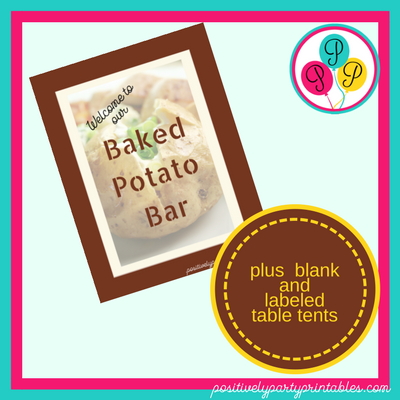 Included in our Resource Library are printables designed to enhance your Potato Bar family Night. included is a Bake Potato Bar Sign and printable table tents with labels and blank table tents for you to add your own creative toppings. 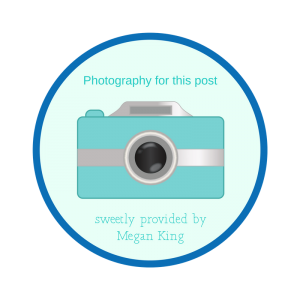 Just make sure you sign up for the Resource library and these and many more printables are yours. Also, join our Facebook Page for additional tips. It looks delicious and I am definitely putting it on my to-do list! For more family fun suggestions, take a look at some of our ideas here.